Hello! Welcome to officially my first blog post of 2018! 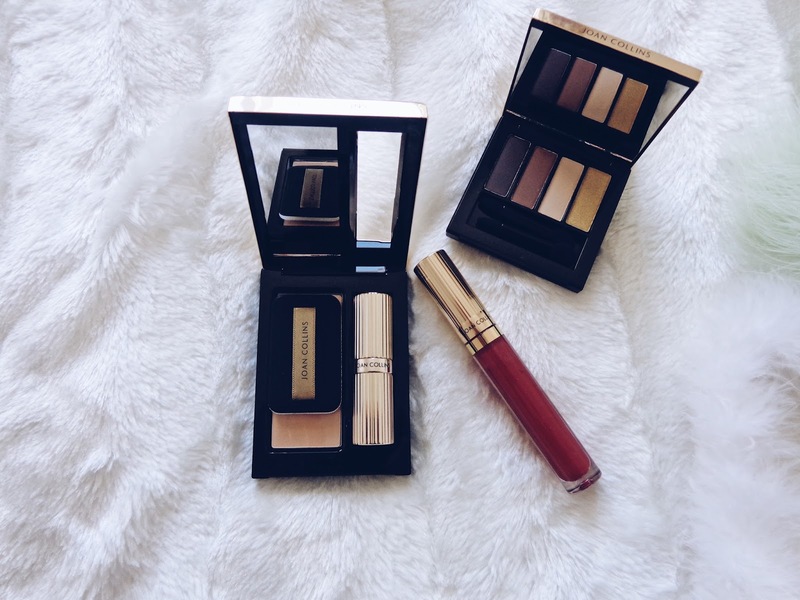 Now that we have begun a brand new year, I wanted to share with you all, a beauty feature on some new products which I am loving and adding to my make-up routine this January. 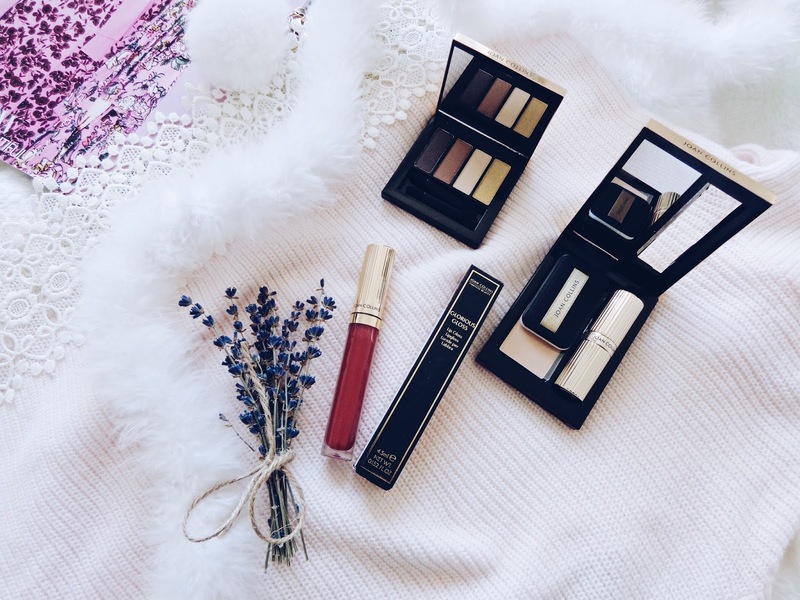 As cliché as it may well sound, I do believe that a New Year is the perfect time to start trying new things, so when it comes to my make-up routine, I am all about shaking things up a bit and trying out new things, as you never know, you might just find a new favourite! 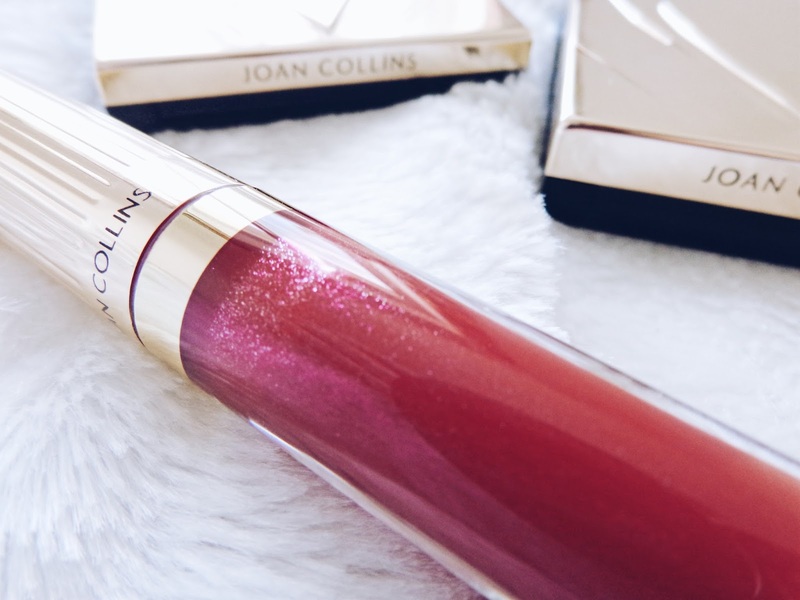 Today, I'm shining the beauty spotlight on Joan Collins Timeless Beauty and the simply stunning and effortlessly elegant nature of the products. I think that today some of that high refinement can be lost in the mass market and that is such a shame. However, I feel like I have found something well and truly special in this range. 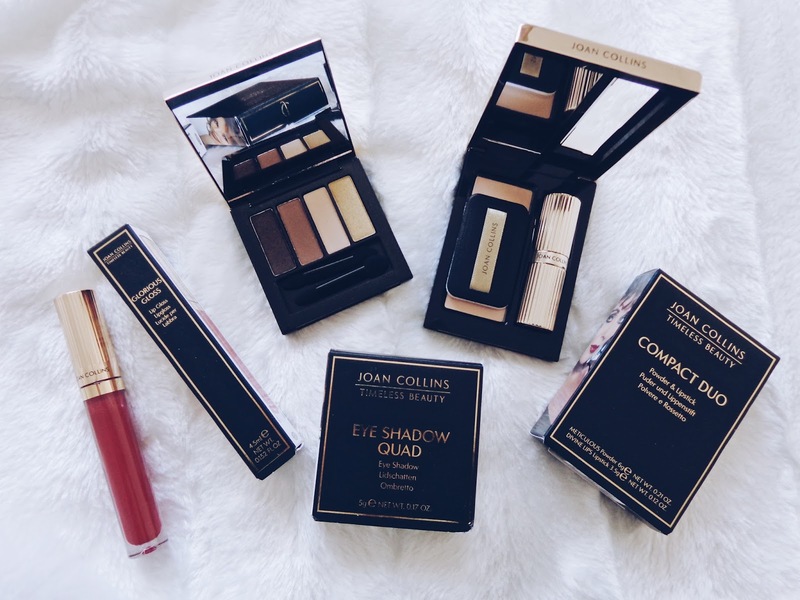 To start with, if you are a lover of beautiful, decadent packaging which exudes as much beauty as the products promise to deliver, then you are also going to love Joan Collins' range. 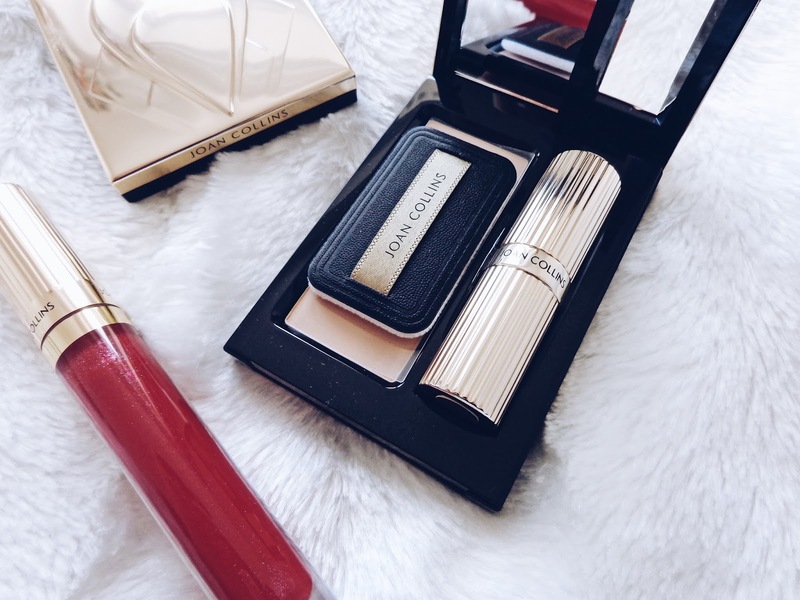 From the decorative gold, Art Deco-esque styling to the top quality make-up which it holds, I can honestly say that I love this range and the aesthetic which it stands for and exudes. 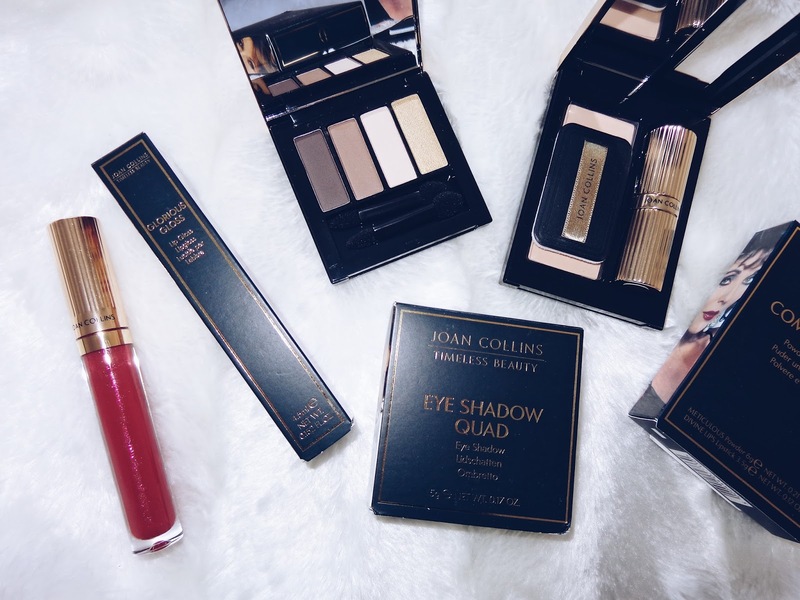 The products which I have been trying include the Eye Shadow Quad in 'Moody Browns and Gold', which has a beautiful selection of soft, earthy shades which deliver intense colour - there are three matte shades and one metallic gold colour to help you turn up the glamour and transition the eye look from day to night. The powders are also crease-proof and easy to blend onto the skin, which is perfect if you love to create beautifully shaded looks I think. Plus the compact comes with applicators and a mirror so it is ideal for holiday packing, when you still want to ensure you take your full collection but a downsized version! 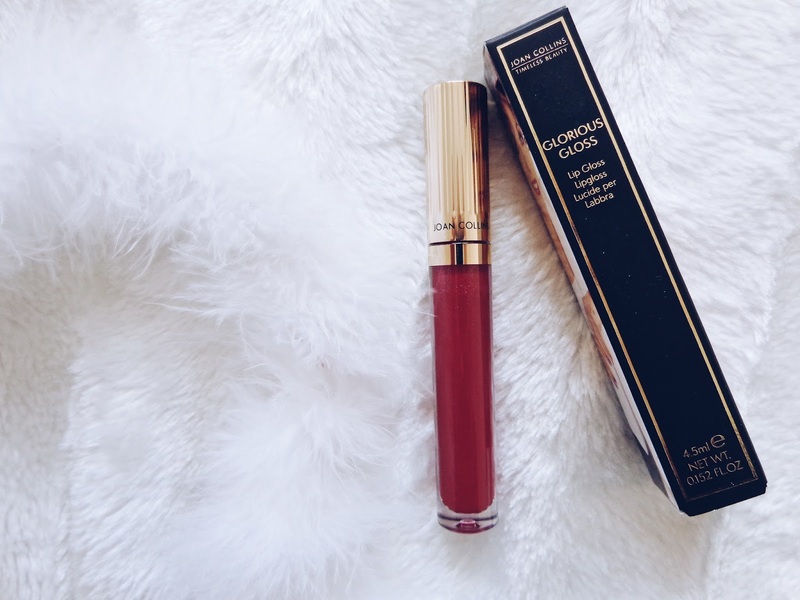 I also have been loving the 'Glorious Gloss' in the shade 'Monte Carlo'. It is a bright and sumptuous shade of fuchsia pink and has lustrous specs of fine iridescent glitter infused within it for that added va-va-voom! 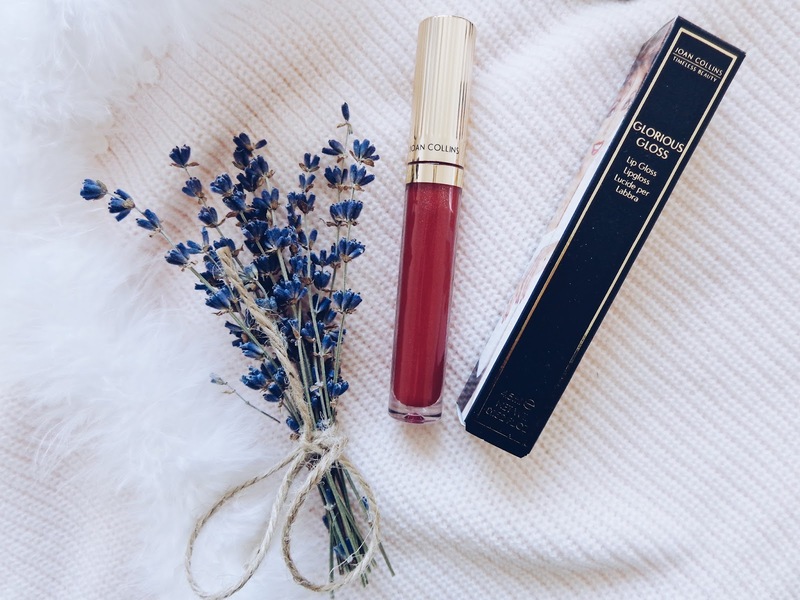 I personally adore glosses which add that wet-look sheen to your pout, but also add some glitz and glam with a bit of sparkle, so lucky for me, this gloss delivers both at once! Plus the colour is so pretty and certainly adds a sweep of elegance and sophistication to a look in seconds. 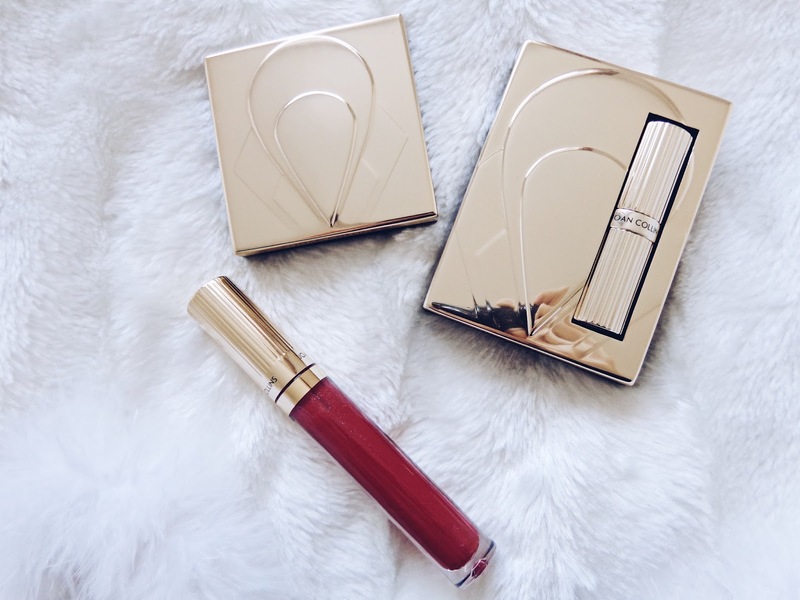 Finally, I have also been lucky enough to get the Compact Duo set, which is a classy powder and lipstick duo. I would certainly say that when you're out for a day or night, the two parts of a make-up look which will likely require a touch-up are your lipstick or finishing powder. 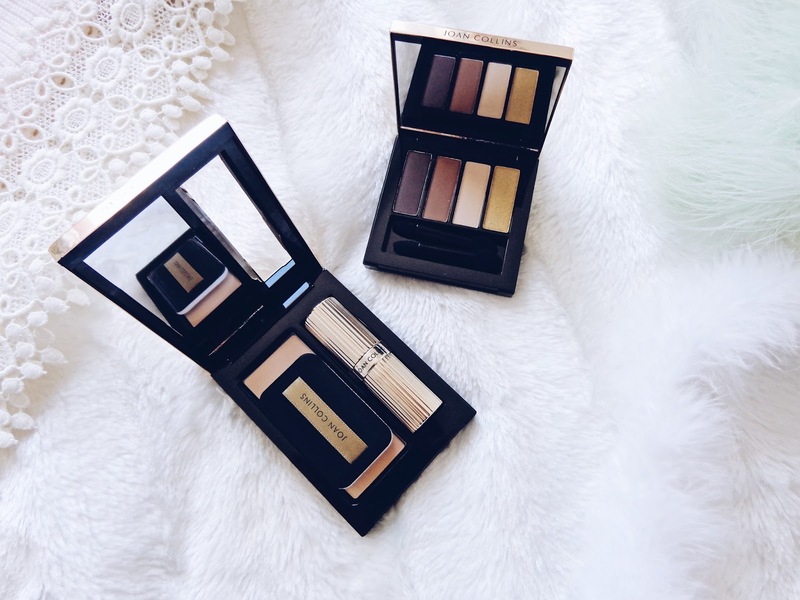 This super handy and not to mention completely glamorous duo is such a perfect idea, as it literally keeps these two essentials to hand when you're out on the go. 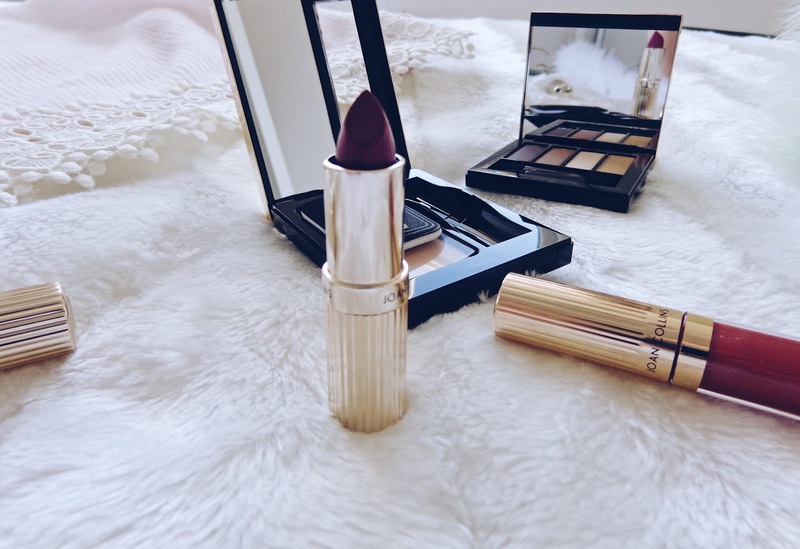 This lipstick shade is a deep plum purple colour called 'Melanie' and the powder shade is a fair skin tone shade, ideal for topical application on the go. The kit comes with a little sponge which fits in the case perfectly too, so it can all easily be found at the bottom of your bag and applied in a flash. You may remember my previous post on Joan Collins' beauty products for the bath and body range which were brought out, including the indulgent bath salts which are made from natural pink Himalayan salt crystals. If you haven't read it, you can check it out here, if you would like to.